Mark and the team at Choice Bookkeeping are on hand to help with all your bookkeeping needs. Whether you are a sole trader, or a limited company Choice Bookkeeping can help! Don’t let your book-keeping pile up month on month – speak to the team about a bookkeeping package that will work for you. The app and a suitable package will help you manage your business finances to ensure you aren’t left with a mass of paperwork at the end of the month or year, and will help ensure your accounts are always fully up to date. 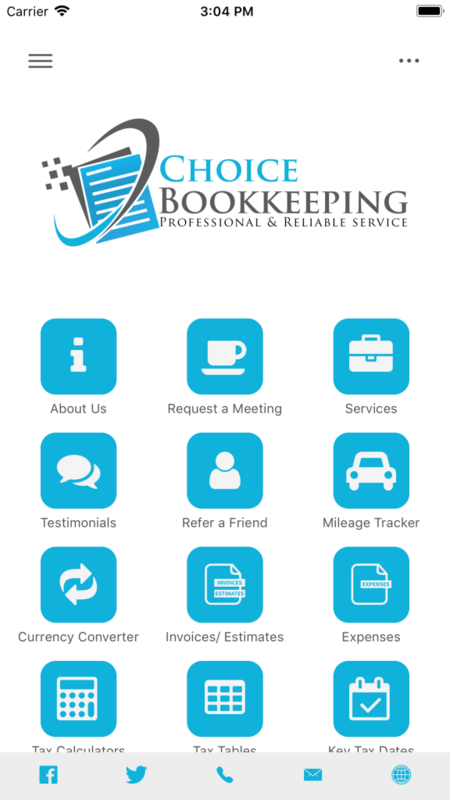 As an affordable alternative to an expensive accountant, speak to Choice Bookkeeping for a free consultation to see how they can assist you and your business save time and money. With offices in Usk and Pembrokeshire, they cover all of South and West Wales and surrounding areas.